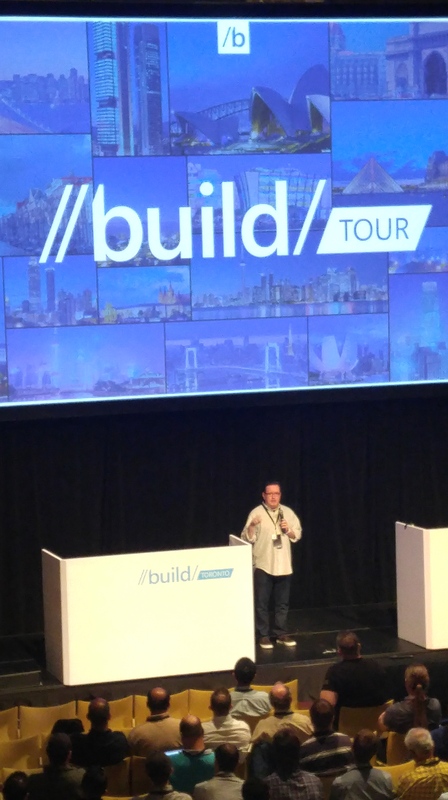 This year Microsoft’s //build conference in San Francisco brought on technical training and advanced looks at many of Microsoft’s exciting new developments including improved Windows 10 features and, of course, the futuristic and fascinating HoloLens (read my post about HoloLens here). 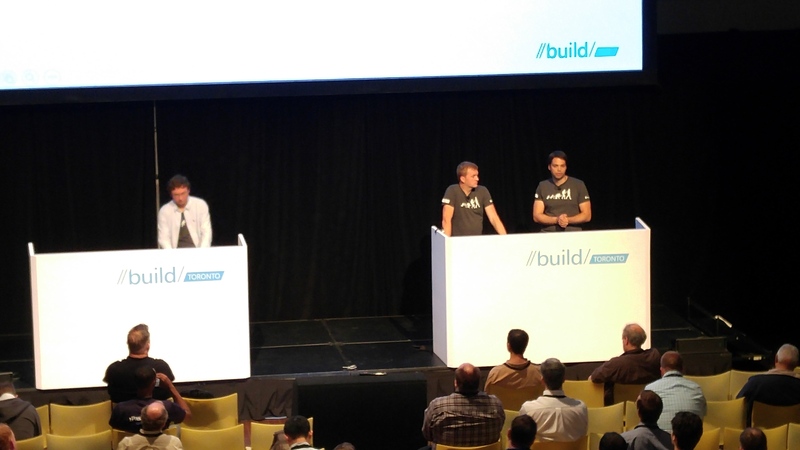 To follow the main event, Microsoft sent top evangelists on the //build tour, which comprised of 22 mini //build events around the world this spring to provide a more intimate setting for developers across the globe to learn and ask questions about Windows 10. 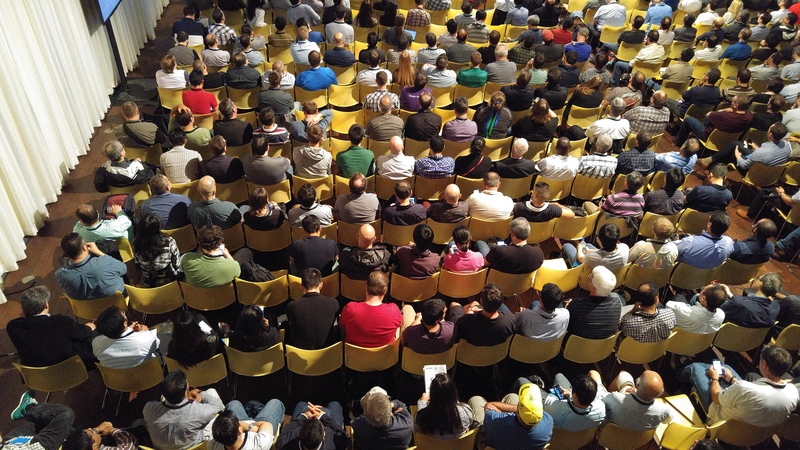 During my stop in Toronto I joined the local team behind the scenes for this event – here’s a look at //build Tour Toronto from my perch above the crowd. 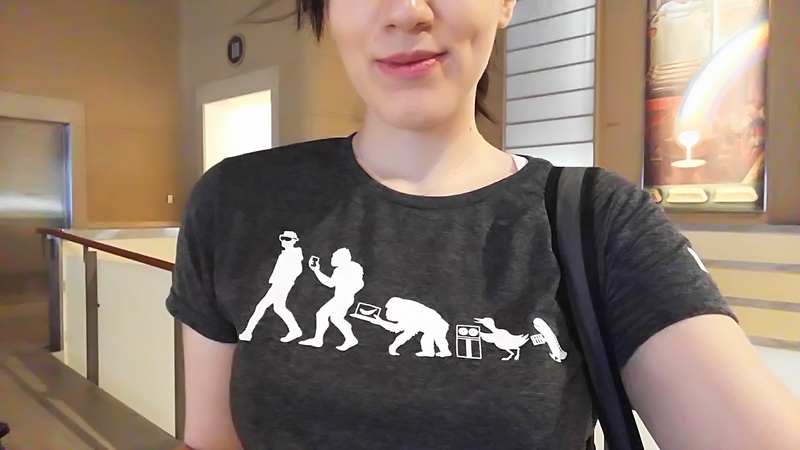 Pictured above: the awesome //build t-shirts showcasing the evolution of technology, featuring HoloLens on the modern man. 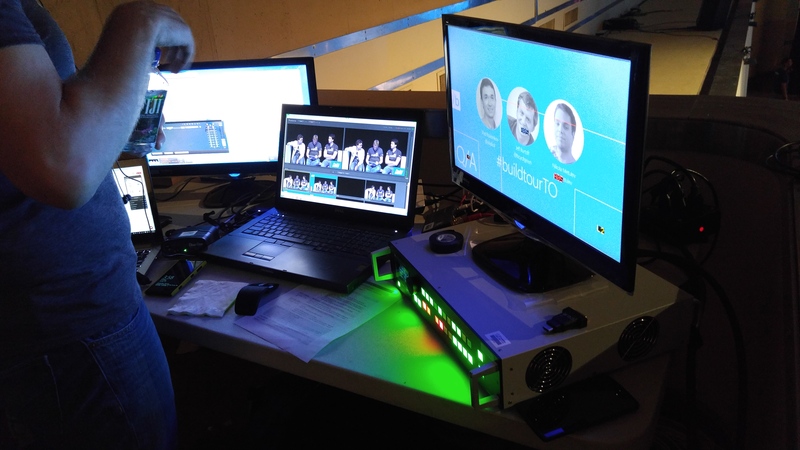 Below: a peek at the live stream being orchestrated. Evangelists from Canada and the US shared their deep technical knowledge with local developers, providing insight into the new platform. 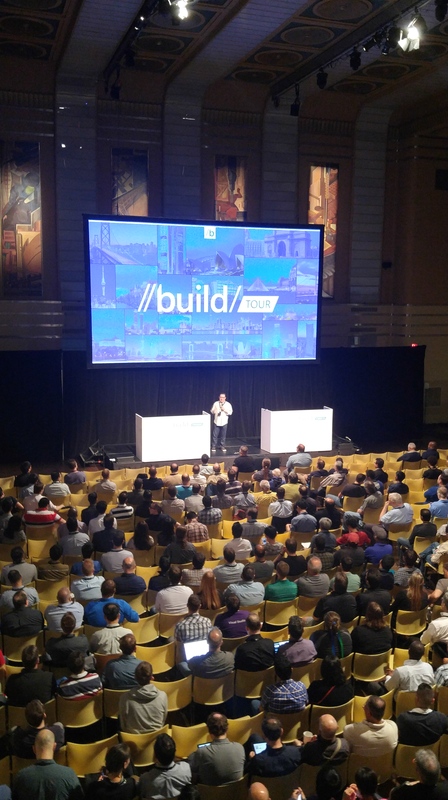 With nearly 500 in-person attendees, //build Toronto was not only a great learning opportunity, but a great opportunity for the community to come together and share in the excitement of technology.